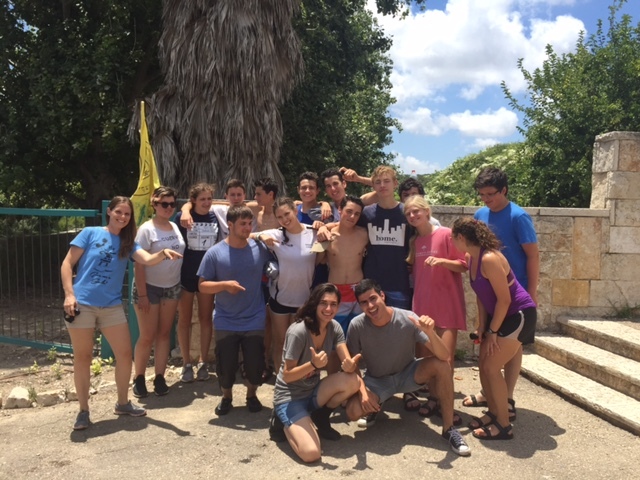 High school students from Camp Livingston traveled to Israel as part of the Camp Livingston Gesher Trip. They spent one weekend camping with Israeli scouts from the Ramon Tribe, who had visited Camp Livingston last summer. This summer, thirteen teenagers from Camp Livingston completed an exchange with their counterparts in Israel, making the 6,000-mile divide that separates the two camps feel a lot shorter. The campers, all 15- to 17-year-olds and starting their junior year in high school, were part of a larger group of 85 teens from across the country traveling as part of the Livingston Gesher trip, a four-week-long exciting program dedicated to introducing Jewish teens to all that’s great about Israel—its culture, its history, and its people. Sam Vogel, a 16-year-old junior at Walnut Hills, member of Adath Israel Congregation, and self-described “massive history nerd,” said his first trip to Israel was impactful. High schoolers from Camp Livingston reunite with Israeli scouts who came to the US last summer. What made the journey unique for teens from Camp Livingston—and made their connections with Israel personal—was an extra stop in Cincinnati’s partnership city of Netanya through the Partnership2Gether (P2G) program of the Jewish Federation of Cincinnati. 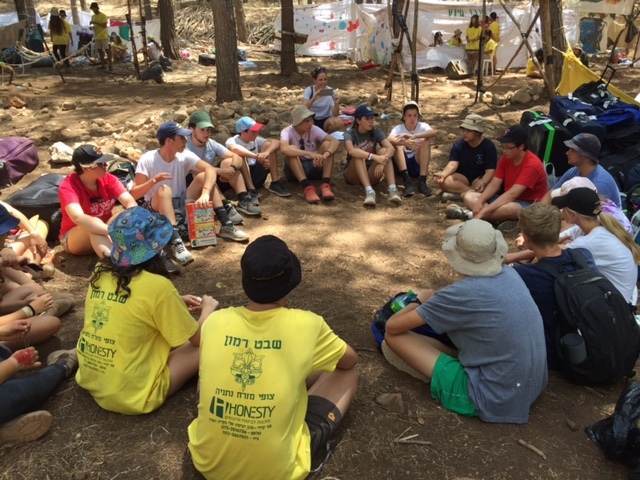 For the last weekend of their trip, they set up camp with the Israeli Tzofim (Scouts) from the Ramon Tribe. That same group of scouts spent time at Camp Livingston last summer, an exchange funded every year by the Annual Campaign, which supports P2G. “So our campers already knew some of the tzofim and were excited now to experience their camp,” said Shira Spiegel, one of the Livingston campers’ guides. When the two groups reunited, they reminisced by sharing Livingston traditions—games, songs, and cheers. That shared past experience broke the ice and brought them all right back to where they were last summer. “As soon as they arrived, we showed them everything we had built and made a Kiddush with all the special songs from Camp Livingston,” said Shani Avinoam, a camper from the Ramon Tribe who went to Livingston last summer. The campsite for the Ramon Tribe was very different than any kind of camp in the United States. 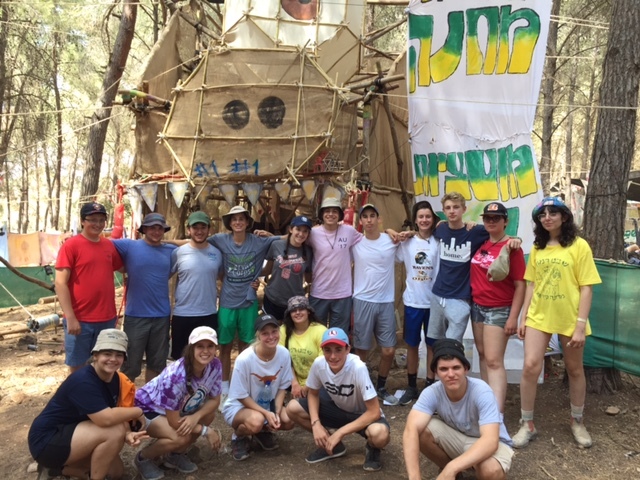 While it was a very different experience than the typical Jewish overnight camp in the US, Sam said he and the other the Livingston campers really enjoyed it, and the tzofim made them feel welcome. Campers on the Camp Livingston Gesher Trip to Israel spend a day at the beach in Netanya as part of a P2G exchange with Israeli scouts. That Friday night, the group stayed overnight at camp—which was the tzofim’s last day there. While the Israelis tore down on Saturday, the Americans enjoyed the surrounding area. They went for a hike through an aquifer in Mount Carmel with Adi and Asaf, Cincinnati’s new Chaverim M’Israel (Friends from Israel). They spent some time on the beach in Netanya. And enjoyed the best food of their trip (something different than the rice and chicken they had come to expect after four weeks on the road). When the tzofim were finished breaking down, they picked the Livingston campers up and took them to the scouts’ homes. Each tzofim’s family hosted two or three Americans. Sam said this was one of the best parts of the trip.